We live in an age where you can tailor every aspect of your image to reflect your personality, from your fashion choices to your social media everything can be curated to be quintessentially you. So why not extend that individuality to your home? Rustomjee Elements in Juhu have set out to demonstrate the magic you have at your fingertips with a bit of curated interior design. 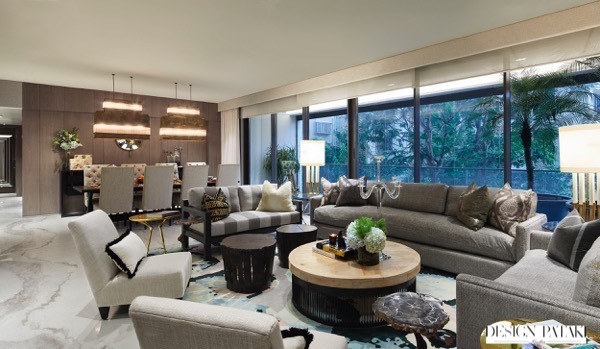 Their new showcase apartment was developed in collaboration with famed designer and co-founder of The Charcoal Project, Sussanne Khan to define the high-living potential of this exclusive housing community. 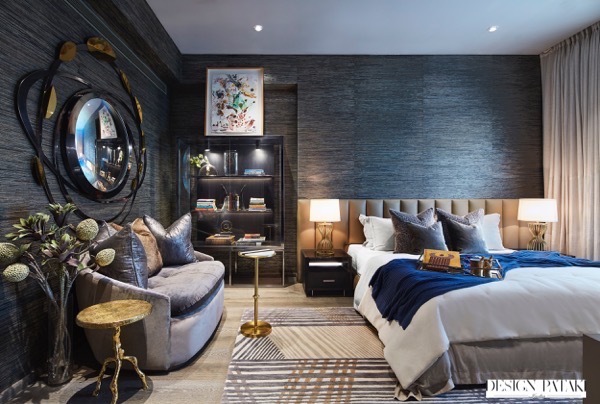 Since 2007, The Charcoal Project has defined its role in Indian interiors as ‘quiet luxe’, using elements of metal, wood, natural fibres, concrete, geometric patterns embellishments, to reflect Sussanne’s signature style. For the showcase flat her goal was to create an environment that exuded luxury and class and though beautiful, they also wanted it to feel like a home where you can relax at the end of the day. The Charcoal Project designed and handcrafted the furniture in the same sleek, muted style around which the apartment was themed. “You will see a lot of neutrals, monochromatic hues with 26 shades of white and charcoal.” says Sussanne. Though each room has a clear identity, there is a seamless flow throughout the space. The dark wood offset by neutral fabrics with just the right balance of colour creates a calming ambience. 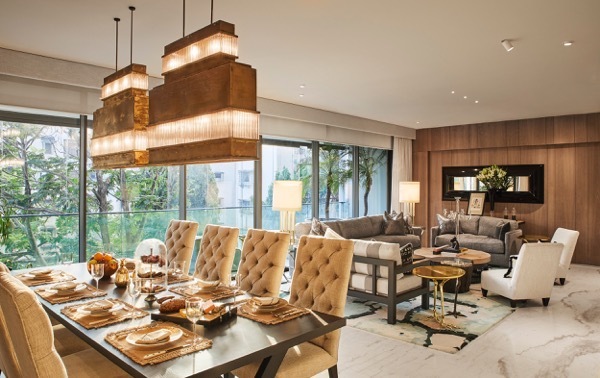 Though designed for comfort, the lines are decidedly modern and elements of metal in the light fixtures and accents pieces keep up the air of luxury. design pataka # 25 – a rajiv saini piece!